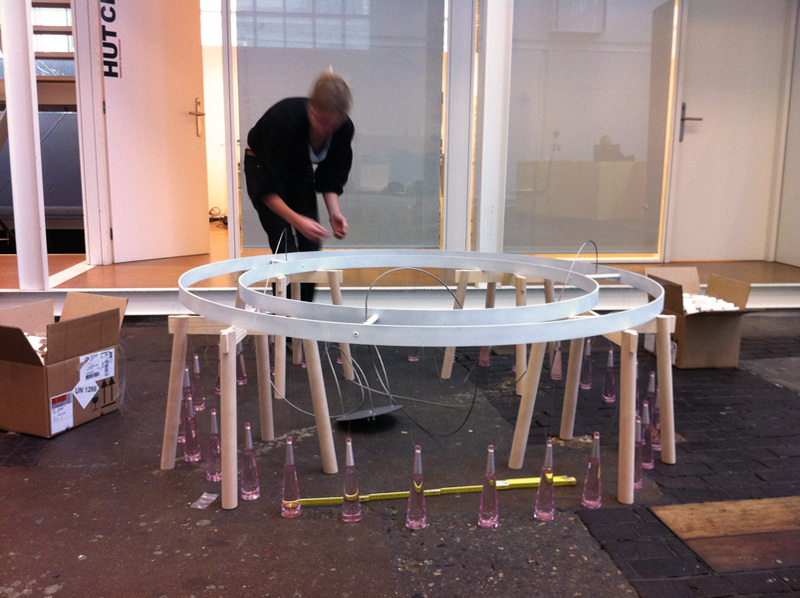 Installation created for the exhibition Design Days 2011 in Geneva. 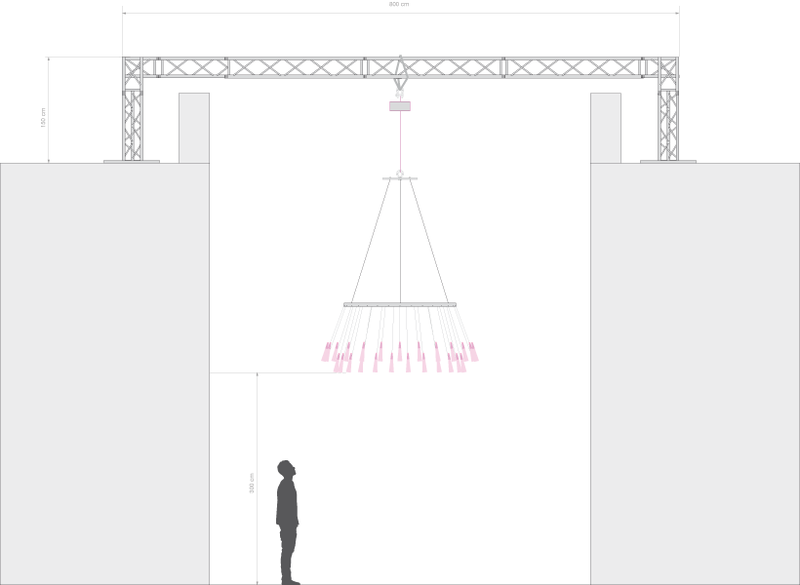 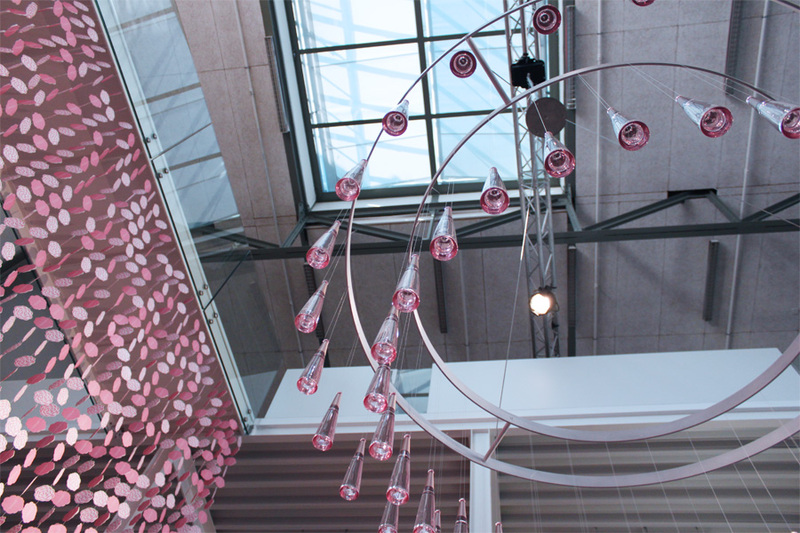 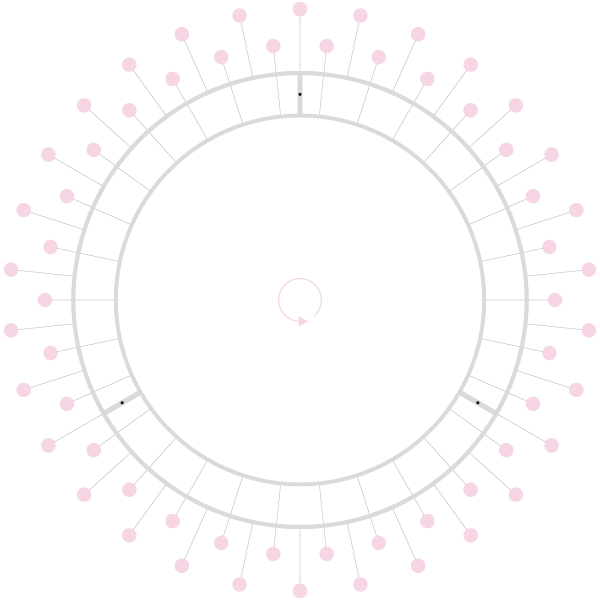 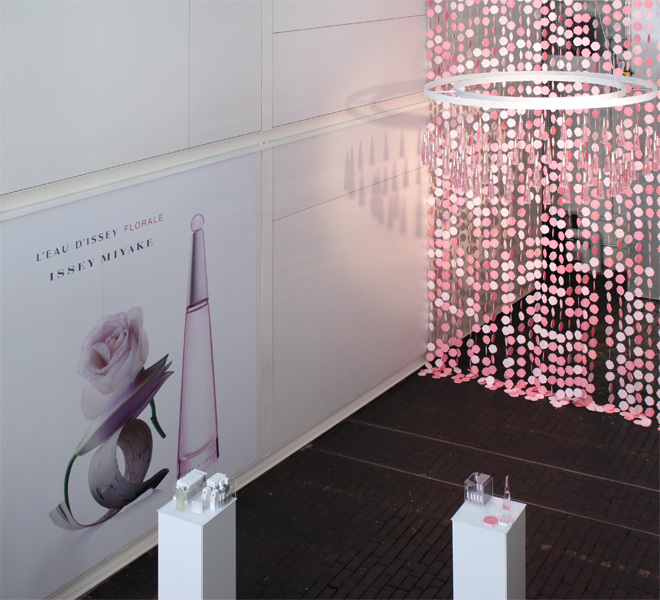 A slowly rotating lustre of 60 bottles of Eau d'Issey Florale is suspended from a structure. 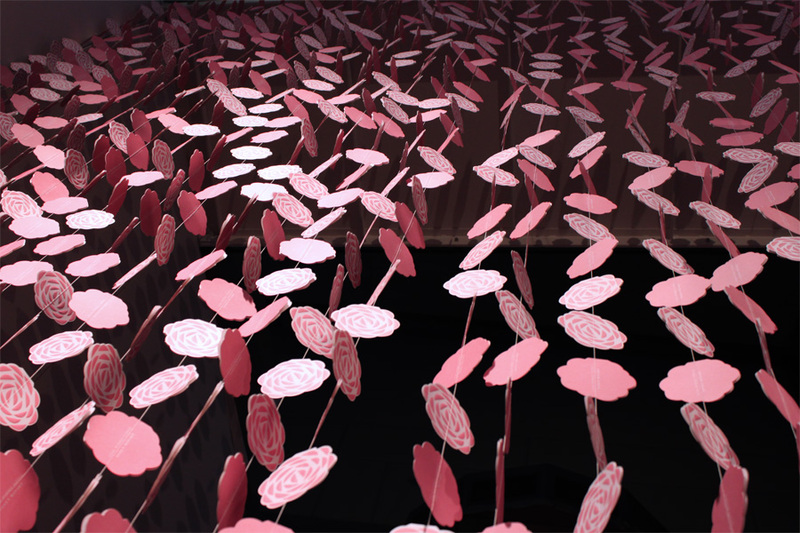 A curtain of 1500 paper flowers was also specially created for that event and was used as a background. 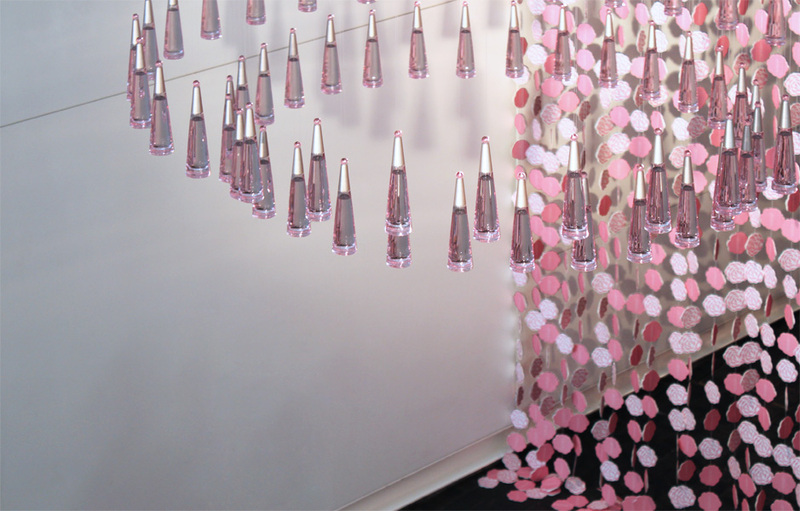 This work was made in collaboration with Lisa Ochsenbein.